a press release document is here. What is a “National House”? National houses, also known as hospitality houses, are established in host cities for the duration of the Olympic Games by national governments or National Olympic Committees (NOCs), which make use of local cultural centers, sports clubs, or historic buildings to offer local citizens and international tourists the chance to experience their country’s culture. National houses have become a customary feature of recent Olympics, and more than 30 countries opened hospitality houses during the 2016 Rio Games. Although some nations’ hospitality houses were restricted to players or invited guests only, most were open to the public. The host nation’s Brazil House was one of the largest hospitality houses. The Brazil House was located in two renovated warehouses in the waterfront district, and showcased Brazilian delicacies including coffee, chocolate, cachaça, and wine, as well as Brazilian crafts. The British House made use of a historic building in a former arts school, and hosted exclusive events for pre-registered guests at its prime location below the statue of Christ the Redeemer on Corcovado mountain. The House of Switzerland was opened on the shore of the Rodrigo de Freitas Lagoon, the site of the Olympic rowing and canoe events. The site on a baseball field with a beautiful view of the mountains and lake evoked images of Switzerland. The house grounds were designed to appeal to both children and adults with a synthetic ice skating rink and a sprinting track. The Africa House was created as a joint location for 54 African nations. Located inside a shopping center, the exhibition displayed videos of African tourist locations inside a mini-theater shaped like an airplane. The Tokyo 2020 Japan House was hosted inside the Cidade das Artes cultural facility in the Barra district. The first floor contained an exhibition corner promoting the 2020 Games and Tokyo, while the second floor allowed visitors to experience Japanese culture such as tea ceremony, yukata, calligraphy, and yo-yos that are popular at Japanese festivals. The first-floor stage also hosted numerous events, including many for the general public to enjoy. Proposal: Create a new kind of national house in Tokyo that will remain as a legacy after the Olympics! National houses have become a popular way to learn about various countries’ cultures during the Olympics, but they are almost always shut down after the games are over. We believe this is a missed opportunity. The Tokyo Cultural Heritage Alliance seeks to work together with NOCs and cultural institutions from various countries to develop a model for national houses that will continue to host cultural or tourist information facilities after the Olympics. Cultural institutions may continue to run national houses as galleries or information centers, or convert them to other cultural or restaurant uses (to be arranged beforehand). The Tokyo Cultural Heritage Alliance is looking for partners from around the world to create national houses that will remain as legacies after the Olympics. Old Tokyo is a district in the northeast central city, stretching from the neighborhoods of Yanesen and Negishi in the north through Ueno, Hongo, Akihabara, Kanda, Jimbocho, and Yushima—all located in a walkable area just two kilometers in radius. Old Tokyo is home to diverse cultural heritage spanning from feudal times through Tokyo’s modernization to the present day. This cultural heritage includes the everyday life found in Yanesen’s cityscape of old machiya homes and alleyways, artistic culture of the museums and Tokyo University of the Arts in Ueno, academic culture centered on the University of Tokyo in Hongo, popular culture on display in Akihabara’s manga and anime industries, literary culture found in Jimbocho’s old bookstores and publishing companies, and spiritual culture rooted in the traditions of Edo still visible at Yushima Tenmangu Shrine, Yushima Seido and the Kanda festival. Old Tokyo was spared from large-scale redevelopment during the high-growth era and today remains a treasure trove of cultural heritage, ripe with potential for a new urban renaissance focused on culture, the environment, and tourism. In addition, Old Tokyo is home to numerous historical buildings, private homes, and office buildings ideal for renovation, including many spaces appropriate for use as national houses. TCHA’s “project school” brings together numerous local activists and professionals to address local challenges and spark new innovation in the Old Tokyo area. This school draws on the local area’s strong record as a frontrunner in historical preservation and reuse to train new community leaders. 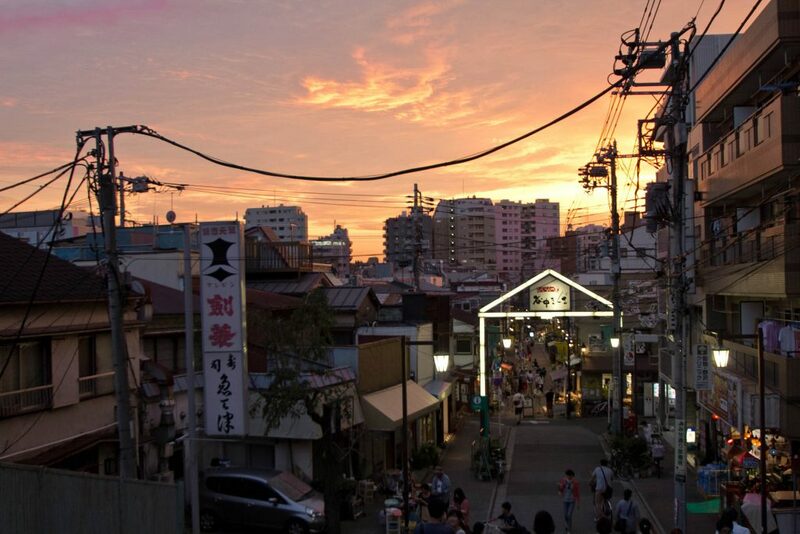 We believe that Old Tokyo’s unique combination of cultural and intellectual resources can be leveraged to create national houses that emphasize both creativity and legacy, thus creating a model not only for the rest of Japan, but also cities around the world working to preserve and reuse their cultural heritage. Those born in Kanda have long been known as the true children of Edo. An area of craftsmen and commoners since four centuries ago, Kanda cultivated the dashing character for which Edoites were famous. The area still has some charming prewar buildings that escaped the flames of war. he symbol of the neighborhood is the Kanda Festival that takes place once every two years in May. The Kanda Festival was one of the great festivals of Edo, along with the Sanno Festival and Fukagawa Festival, and is also known as one of the three great festivals of Japan, alongside Kyoto’s Gion Festival and Osaka’s Tenjin Festival. This festival not only gave the area its history and tradition but continues to live on today. The Kanda Festival is held at Kanda Shrine near Yushima, which serves as the main shrine for 108 local neighborhoods in eastern Tokyo. Long beloved by the people of Edo and Tokyo, in recent years Kanda Shrine has also garnered attention for its collaborations with popular anime characters and is now a “pilgrimage” destination for fans from nearby Akihabara. Kanda is also home to a variety of old establishments, many of which have been in business for over 100 years. Old eateries serve Japanese cuisines including soba, unagi, anko nabe, sukiyaki, yoshoku, and sweets shops. According to a report by the local non-profit Kanda Gakkai, there are more than 170 business older than 100 years, making Kanda one of the greatest concentrations of old businesses in Japan. Kanda developed from the original plan of Edo. In feudal times, food for hundreds of thousands of people in Edo was bought and sold at the fish market in Uchikanda 1-chome and the produce market in Kanda Tamachi. Fish was brought from the bay up the Kanda River, while produce was carried down on carts from farms in the north. Kodenmacho and Odenmacho thrived as travel terminals. The fish market later moved from Nihombashi to its present location in Tsukiji, and the produce market moved from Akihabara to Oi, but both trace their roots to the Kanda area. Today Kanda hosts a quarter-million students, more than any other part of Tokyo. Major publishers, printing factories, and bookstores, as well as universities and academic facilities are located here, leading to the emergence of one of the largest used book districts in the world. 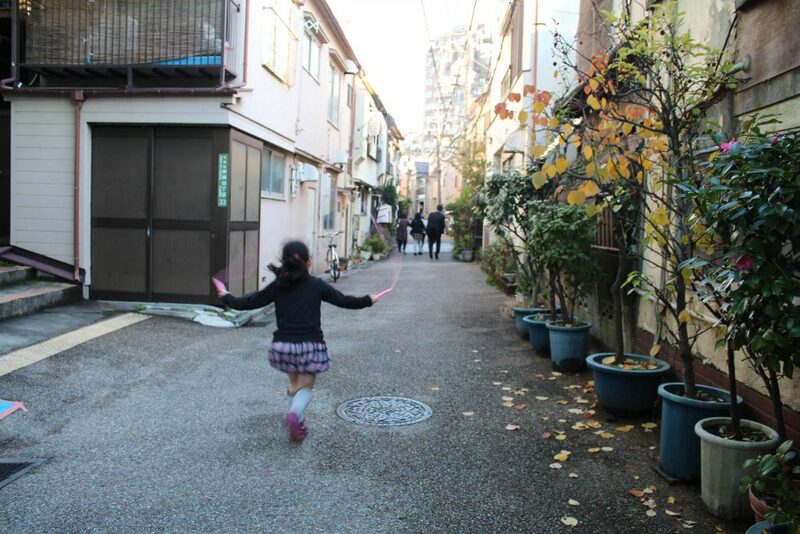 The presence of students around Suruga Hill since the early 20th century also drove demand for instruments and sporting equipment. Beginning with the opening of a specialty ski shop in the year of the 1972 Sapporo Olympics, sports shops spread through the area, while music stores began to take over Ochanomizu. Kanda is also known as one of the country’s densest curry districts, with more than 300 restaurants serving a plethora of unique flavors. This concentration of specialty shops means that Kanda is transformed into an enormous event space every autumn, when the neighborhood hosts several book festivals, a sports festival, an instrument festival, a curry grand prix, and since 2012 an art event known as Trans Arts Tokyo. The Kanda area is located between the pop culture district of Akihabara and business district of Otemachi, and people of various tastes intermingle here, making it an ideal place for a PR-style national house. Many visitors are expected to pass through Kanda during the Olympics, presenting an excellent opportunity for promotion to foreigners and Japanese alike. The Ueno and Yushima area thrived from the 17th to 19th centuries thanks to its location between Kan’eiji Temple and Yushima Shrine, at the edge of the urban area that developed around Edo Castle. Soon after Edo was founded, a bustling town emerged along the edges of Shinobazu Pond. Today, the diversity of cultural heritage concentrated in this walkable area is the neighborhood’s greatest appeal. Numerous cultural and natural tourist attractions, as well as lively entertainment districts, are located inside and around the triangle between Ueno, Okachimachi, and Yushima Stations. Ueno Hill is the area’s main tourist spot. The hill is home to one of the world’s premier districts of museums and art galleries, centered on the Tokyo National Museum. The National Museum has a collection of over 110,000 items including 88 national treasures, more than any other institution in the country. 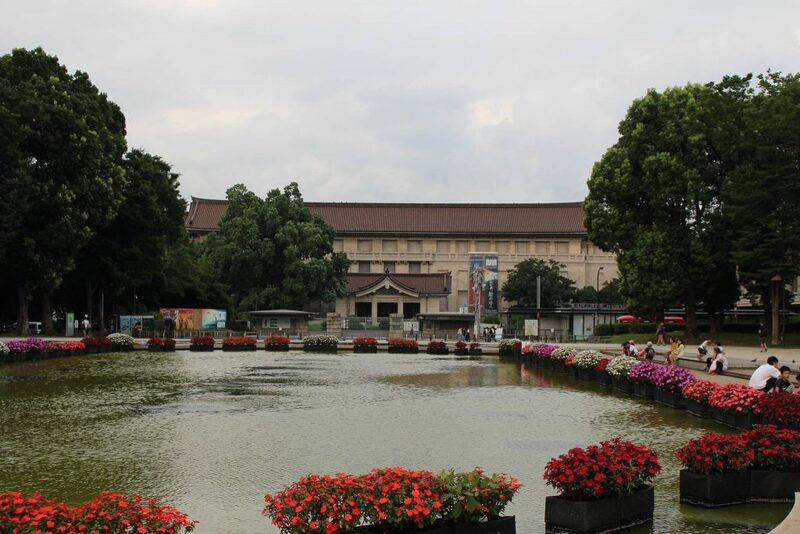 In addition, the National Museum of Nature and Science, the Tokyo Metropolitan Art Museum, and UNESCO World Heritage National Museum of Western Art, and the Ueno Royal Museum constantly host numerous special exhibitions. These museums are located amid the forest of Ueno Park, a relaxing urban oasis that will offer escape from the heat during the Olympics. Shinobazu Pond sits just below Ueno Hill and is the biggest lake inside of the JR Yamanote Loop Line. The expanse of water and its famed lotuses are framed by the city and provide a welcoming breeze amid Tokyo’s summer heat. The best time to see the lotuses bloom is in the mornings in July and August. Ueno Zoo is Japan’s oldest zoo, and the only one in central Tokyo. Despite its location in the heart of the city, the zoo boasts the second largest number of animal species in Japan, and welcomed the birth of a popular baby panda in 2017. 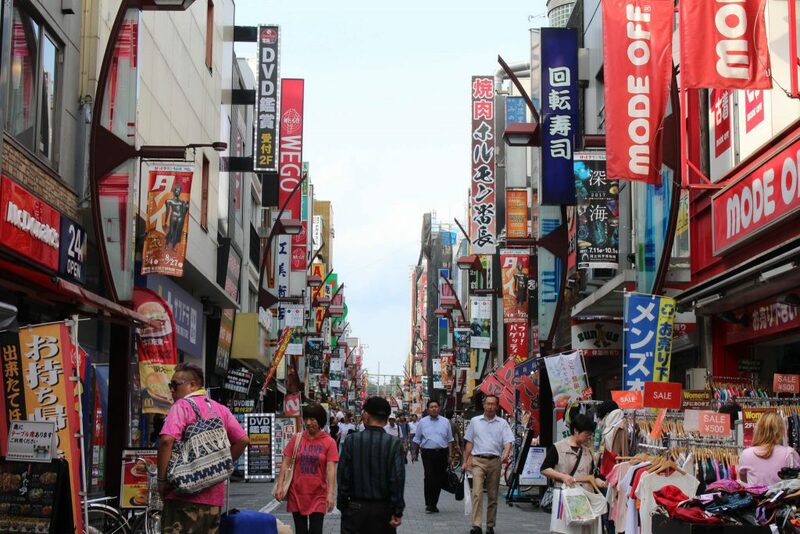 The “Ame-yoko” shopping street emerged during the turbulent years after the second world war, and is today one of the few places in Japan where one can experience the chaotic feel of an Asian market. Numerous shops and restaurants crowd into the narrow street alongside the elevated Yamanote Line tracks. The labyrinthine alleys offer the chance to discover products you might not find anywhere else. The long culinary tradition of the Ueno-Yushima area is evident in its many well-known restaurants, which serve traditional Japanese foods including eel, sushi, tempura, and sweets. The area is particularly well-known for having many of the city’s very best pork cutlet (tonkatsu) restaurants. At night, a lively bar scene springs to life around Yushima. 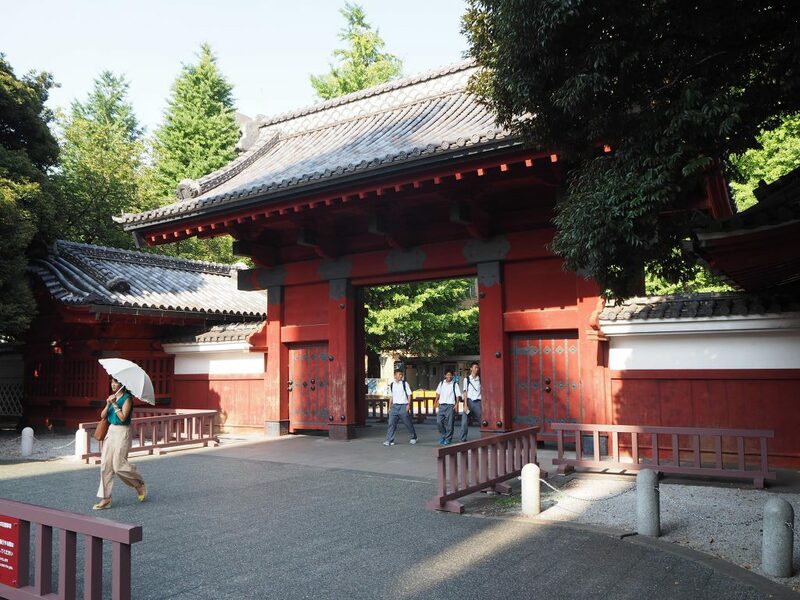 The Ueno-Yushima area is also home to many historic tourist spots, such as Yushima Shrine and the early-20th century Kyu-Iwasakitei mansion and gardens. A national house in the Ueno-Yushima area would offer visitors the chance to experience all of these nearby attractions. 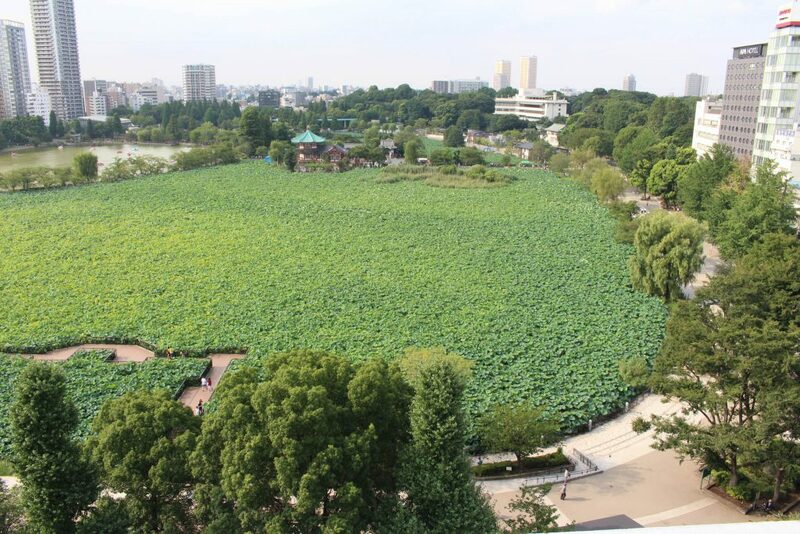 Guests will have the opportunity to take in Japanese art, popular culture, and nature located just a few steps away. The various attractions make it worthwhile to return to the area for multiple days. This area is ideal for national houses that want offer visitors a chance to enjoy a rich variety of Japanese culture in a compact area. The large number of tourists that visit the Ueno-Yushima area is also ideal for PR-style national houses. More than ten million people visit the museums and art galleries on Ueno Hill every year, making it one of the city’s busiest tourist areas. Many of the people who will come to Japan during the Olympics can be expected to visit the Ueno-Yushima area. The area is ideal for promotion to both Japanese and foreigners. Finally, the Ueno-Yushima area is also the entryway to the Tohoku region, and was home to foreigners who imported foreign culture into Japan. Local actors are eager to have many visitors learn about the area and prepared to assist with establishment of national houses. The area has excellent access via the Keisei Skyliner train from Narita Airport in just 41 minutes, and the JR Yamanote Line and four subway lines offer quick and easy transportation to anywhere in the city. The Old Tokyo district is anchored in the north by the temple area of Yanaka, the commoner district of Nezu, and the residential area of Sendagi. 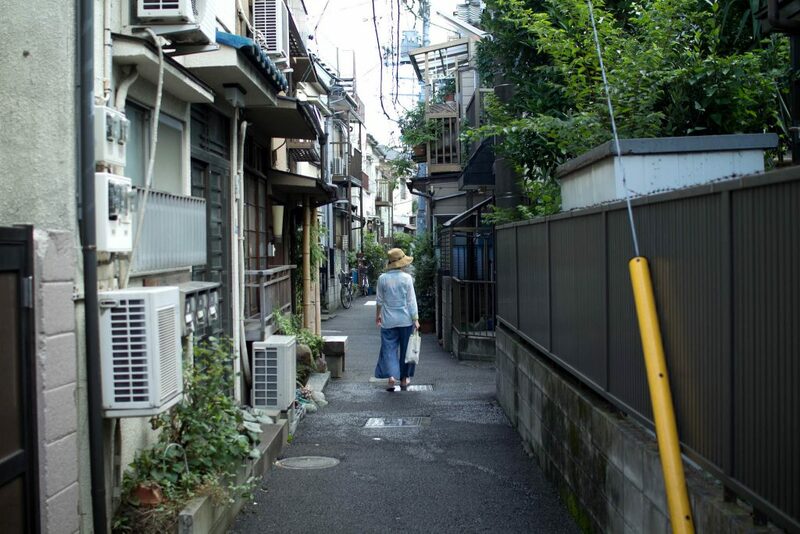 These neighborhoods all escaped major damage in the 1923 Earthquake and the second world war and are among the few parts of central Tokyo that retain the atmosphere of the 19th and early 20th centuries. 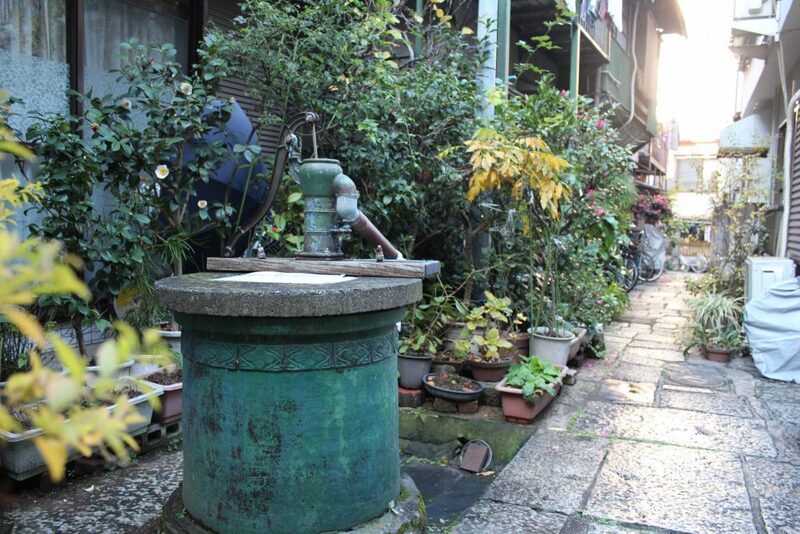 The area is easily accessible for foreign visitors from Narita Airport via nearby Nippori Station. Although Yanaka is part of Taito Ward and Nezu and Sendagi belong to Bunkyo Ward, the founding of the local magazine “Ya-ne-sen” in 1984 caused people to think of the area as a single neighborhood. The area is home to many people connected to the nearby University of Tokyo and Tokyo University of the Arts. Also close to Ueno Park, the neighborhood has a long-standing arts-related industry, including small-scale art supply shops and art production companies. Today, small galleries include SCAI THE BATH HOUSE, which hosts international artists, HIGURE 17-15 cas, which exhibits young artists, and HAGISO. Yanaka is home to more than 70 temples that clustered in the area around the Tokugawa family’s main temple of Kan’ei-ji. These temples also own other buildings in the area, and as a result many older buildings remain. In recent years, the Yanaka Ginza and Yomise shopping streets have become popular attractions for foreign tourists, thanks to their mid-century atmosphere and many unique shops along small alleyways. Nezu developed at the foot of Nezu Shrine, one of the ten biggest in Tokyo. This commoner area is filled with old architecture, small eateries and local bars. The hilly area of Sendagi was home to many 19th and 20th century authors and artists, and some of their old homes are now open to the public. Negishi is perhaps best known for the cluster of love hotels near JR Uguisudani Station, but an older red-light district once existed along Negishi Yanagi Street. The area has many small shop buildings, including some designed in distinctive early-20th century western style that survived the war, as well as the former residences of poets and artists such as Masaoka Shiki. Early-20th century buildings including the Tokyo Kinema Club are still being used. Every July, the morning glory festival attracts some 400,000 people to the streets. It has also become a popular spot for new businesses in renovated buildings, including the toco guesthouse that attracts backpackers from around the world, the Iriya Plus Cafe, and other unique stores popular with hip young people. This area is home to a rich culture of everyday life, making it ideal for a guesthouse-style national house that blends in with the surrounding town. The Hongo area is home to the University of Tokyo and has developed into one of the city’s major academic districts, with a cluster of hospitals and other medical facilities in the south and various publishing businesses in the north. The area is also known for numerous old establishments dating from the 19th century or earlier. Beginning with the establishment of the University of Tokyo on the grounds of the Maeda family residence in 1878, student housing was established throughout Hongo. The number of dorms peaked at more than 500, and eventually evolved into a thriving ryokan inn district that hosted travelers and school trips from around the country. 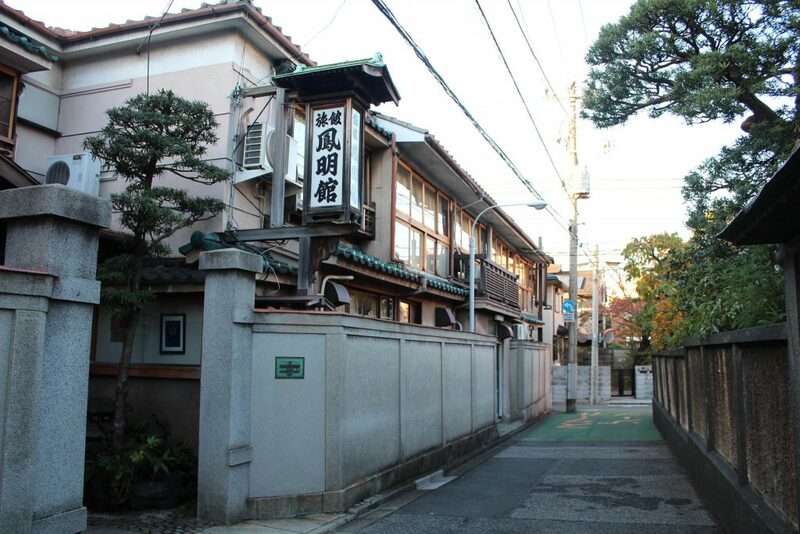 Of the nearly 120 ryokan that once occupied the neighborhood, fewer than five remain. Although the ryokan have mostly disappeared, many pockets of the neighborhood, such as around the venerable Homeikan Inn, feel little changed in half a century. Moreover, Hongo has a reputation as a culturally refined area that was home to many authors from the late 19th century into the early 20th century, including Natsume Soseki, Kawabata Yasunari, and many others. The area is filled with locations from novels and old residences where authors once lived. In front of the University of Tokyo, a used book store district arose to serve the students and authors. Many of the old bookstores have closed down as time has passed, but the buildings remain and recall the atmosphere of the past. Amid the interwoven valleys and hills, famed slopes and atmospheric alleyways survived the fires of the war and are unlike anywhere else in the center of the city. Hongo is always busy with pedestrians, many of whom come to enjoy the unique landscape where alleyways and tenements in the valleys sit right next door to the refined culture of the hills. Moreover, the tradition of student housing and inns means the area has a culture of welcoming people from the outside. The neighborhood has direct access to Tokyo Station, Shinjuku Station, and other central areas. The area around Hongo Sanchome Station offers numerous culinary pleasures, from old Japanese restaurants and hidden bistros to casual eateries popular with students. Hongo’s welcoming atmosphere in a location where visitors can experience Japanese lifestyle close to the center of the city makes the neighborhood ideal for a guesthouse-style national house. Local organizations and the many exchange students at the University of Tokyo are ready to help establish national houses. (C) 2019 Tokyo Cultural Heritage Alliance All Rights Reserved.